The letter from OfSTED can be read here. Many thanks for all of the lovely messages we have received. 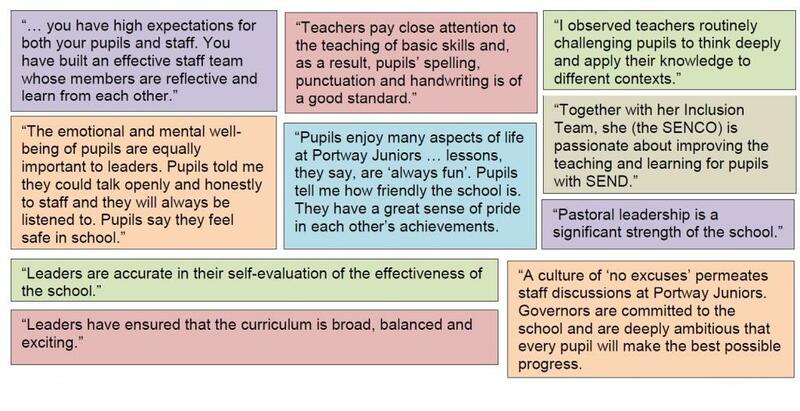 They have been shared with staff and are much appreciated.We are very pleased with the outcome of our inspection and we would like to thank the staff, parents, governors and everyone involved with the school for their commitment, hard work and dedication. We are looking forward to continuing our good work and improving our school even further.